In launching the first thermal cameras in its P-line – Axis Communications is bringing the benefits of thermal imaging to a broader range of customers and environments than ever before. The cost-effective cameras deliver thermal imaging capabilities to small and mid-size systems with budget limitations – such as schools, care environments and independent retailers– allowing for intrusion detection and incident identification, without compromising individuals’ identities. Thermal technology is renowned for ensuring reliable detection with a low rate of false alarms, but until now the cost of high-quality thermal imaging has been beyond the reach of organizations with limited budgets. The new AXIS P1280-E Thermal Network Camera is an indoor/outdoor camera with a flexible form factor that allows the thermal sensor unit to be placed in locations with limited space and it comes with a wide range of mounting accessories for both wall, ceiling or recessed installations. 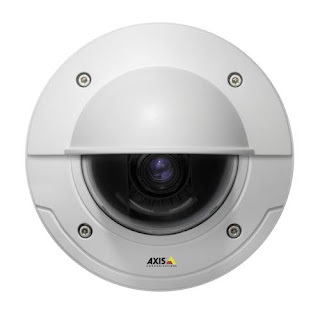 AXIS P1290 Thermal Network Camera is an indoor camera protected in a dome casing for discretion. Ideally, they can be used as a cost-effective detector with visual confirmation for safety of both people and property in numerous environments. The cameras have built-in analytics, such as AXIS Video Motion Detection that can send an alert when it detects motion from moving objects within a predefined area. The cameras also support AXIS Camera Application Platform, which is compatible with a broad range of third-party applications. AXIS P1280-E will be available through Axis distribution channels in December 2017 and AXIS P1290 in the beginning of Q1 2018.